This tour of the incredibly beautiful island of Kauai allows you to journey to areas of the island that are completely unreachable by foot. During the 50-55 minute helicopter tour, enjoy a choreographed soundtrack and narration through your BOSE stereophonic (noise-canceling) headphones while you look down upon selected areas across Kauai. You fly out of the Lihue airport in a luxuriously equipped ECO STAR helicopter complete with air conditioning and wide bubble windows on this journey of a lifetime. 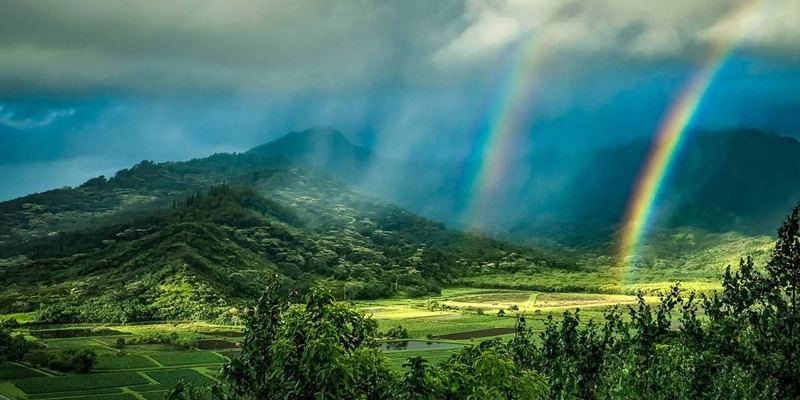 The Ultimate Kauai Adventure makes a perfect first tour for any newcomer to the island of Kauai and is a favorite among children and teens, who will enjoy the choreographed audio and amazing views packed into a focused hour-long excursion. 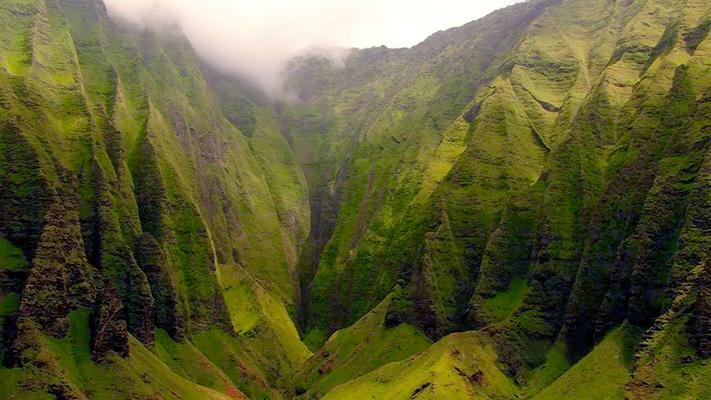 The Ultimate Kauai Adventure begins with an excursion over Waialeale Crater. This volcanic landscape, a remnant of the explosive volcanic activity which created the Hawaiian islands, is incredibly lush and verdant thanks to being one of the wettest places on earth. The torrential rains accumulate and flow over the cliffsides, creating impressive, sparkling waterfalls that dot the landscape as far as the eye can see. See Alakai Swamp, an extensive wetland system formed from the rainwater runoff from Waialeale Mountain where many rare animals and plants make their home. Don’t miss the part of the narration in which the amazing waterfalls featured in the opening credits of the old time tv show, Fantasy Island are pointed out! Departure: Check in at the office 40 minutes prior to flight time, Lihue, Kauai. Office address will be send with your confirmation email. Time: Available flight times vary. Please make approx time request on booking page. For your safety and comfort, passengers weighing 250lbs or more, and couples with a combined weight or 450lbs or more, are required to reserve an additional seat. All passengers must weigh at least minimum 35lbs. Hats and oversized bags are not permitted on the Aircraft. 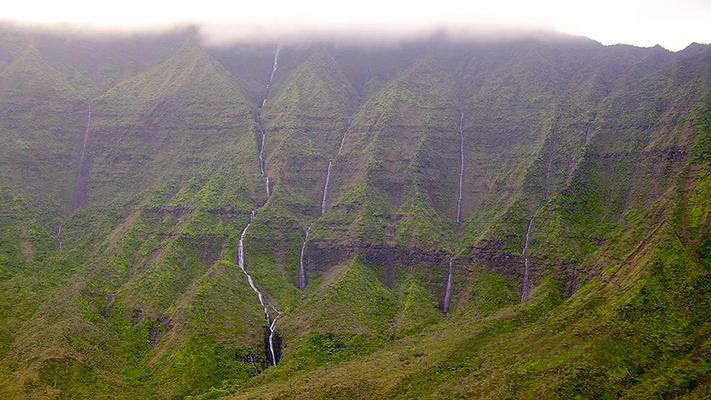 You also tour the Na Pali Coast, a famously wild and wondrous coastline environment, equally split between massive cliffs and turquoise waters. The Na Pali Coast is famous for its hiking trails, visible from the air as they meander around the precipitous mountainsides. 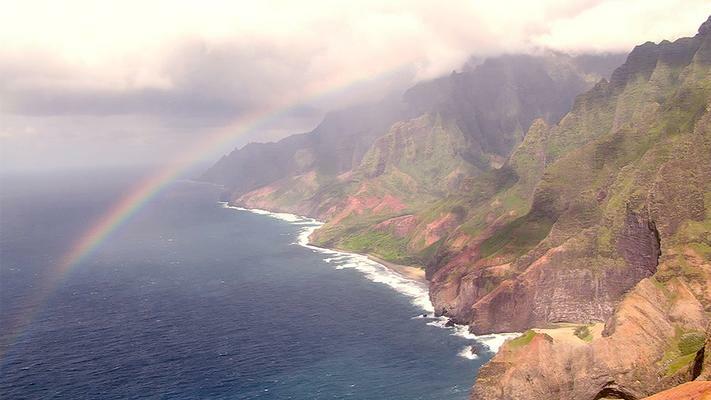 You’ll probably notice many shimmering rainbows as you look down at the Na Pali area. These are caused by the torrential rainfalls, mist, and condensation in this incredibly wet coastal area that gets about forty feet of rain every year. At the conclusion of your memorable flight, you can choose to purchase the on-board pilot-narrated video to take home to share with all your friends and family. The most incredible experience in the air, overlooking Hawaii’s beauty.